I was born and grew up in Maastricht. After my education at the gymnasium I graduated in Social Psychology at the Free University of Amsterdam. My career began as a lecturer in psychology at The Hague University of Applied Sciences. I have been teaching there for many years. Not only lecturing psychology, but also giving practicums on client interviewing, and supervising students in their practical year. I was teaching students who were working in a department of Institutionalised Social Work. In this way I got inspired to work more practically as a psychologist. It was the first germ to start my own psychotherapy practice. To qualify as a professional therapist I did three different trainings: Regression Therapy, Inner Child Therapy and Hypnotherapy. Working with the Inner Child I learned from an American psychotherapist: Trisha Caetano. As you can see in my choice for the therapy trainings my preference lies in the so called transpersonal approach in psychotherapy. Another preference is for “deep work” where the focus of attention is on existential problems and on the unconscious side of our functioning. In 1993 I started my therapy practice. In the course of the years I’ve seen it growing. So too grew my experience as a therapist. I have been working with many kinds of problems. Due to my Inner Child approach I have often been working with clients who had severe problems in their childhood years, for instance: having been abused as a child, having been emotionally neglected, or having lost one of their parents during their childhood. Many of my clients come because of marital or relational problems. Inner Child Therapy turns out to be a suitable path for this kind of problems. But I also work with the more common problems in psychotherapy such as complaints of burnout or depression. 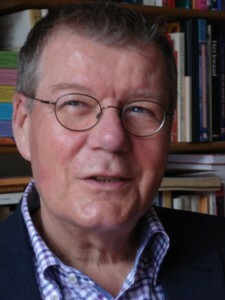 I’m also working as a teacher and supervisor in a 3-year professional training for Integrative Psychotherapy of BGL & Partners (a Dutch training institute) where I teach subjects like “Working with Dreams”, “Enneagram”, “Inner Child Therapy” and “Regression Therapy”, some of these programs together with my wife Ellen. I’m a lifelong enthusiastic psychologist. Because I have been teaching for many years at The Hague University of Applied Sciences I have been keeping up the new developments in psychology and psychotherapy such as Cognitive Behavioural Therapy (CBT), Acceptance & Commitment Therapy (ACT) and Interpersonal Neurobiology. In particular I’m interested in research on “Attachment”. This is of special interest for deepening my work as a therapist in many respects. I’m still interested in Transpersonal Psychology, but the last decade of past century has brought many important new insights in the connection between body, brain and mind. In my work as a therapist I look, to begin with, at the level at which a client presents her/his problem. This gives me a first indication of how to work. I differentiate, in line with NLP trainer Robert Dilts, different levels of a problem: context and behaviour, capacities, beliefs, identity and spirituality. Meticulously investigating the kind of – and the levels of a problem is characteristic for my work.